Samsung revealed its promising new Universal Flash Storage (UFS) cards last week in a bid to propel removable storage innovation. 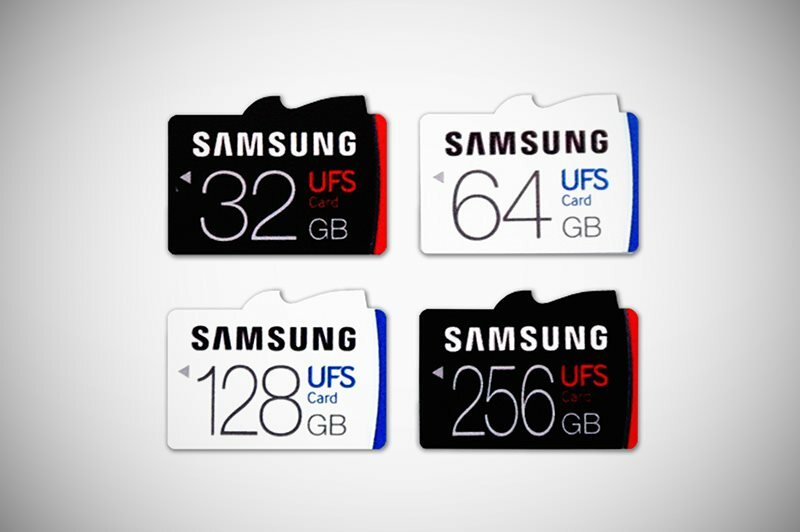 The cards built off UFS 1.0 standard are supposed to five times faster than the current generation microSD cards, creating a new standard in the industry. However, the new UFS carads would not fit into the slots currently available on all devices today, giving rise to a pertinent adoption problem. In order to fix this hurdle,Samsung claims that it has built a card slot that would be support both microSD and UFS cards. According to the tech giant, it has teamed up with several manufacturers to embed next-generation devices with these sockets, in order to begin mass adoption of UFS cards. This socket will give users the freedom to keep using the widely available microSD cards on their smartphones, or opt for the new faster UFS card if they preferred. “The new UFS cards are not compatible with the current microSD card socket. However, we have developed a socket design that can support both UFS cards and microSD cards. We are working with different partners in the industry on this integration for next-generation devices,” the company toldDroid Life. UFS cards, with their speed efficiency, look like a promising update to removable storage in the future. They offer more than five times read speed (530MB/s) and almost twice the writing performance (170MB/s) of today’s microSD cards. The UFS cards will be available in 32GB, 64GB, 128GB, and 256GB variants. The company claims that it is ideally suited for high-res devices like VR cameras, action cams, or even DSLRs. There is no clarity on which device will be the first to sport this new UFS-compatible slot. However, Samsung would presumably show it off on one of its own devices first. Perhaps the Galaxy Note 7?